Tucked in Elliotbborough, on the corner of Spring and Coming Streets, sits Books Herbs and Spices, with the owner Tom welcoming all who enter with a bright wide smile. Having been a successful health-food store for 35 years, Tom does have a lot to be happy about. He absolutely loves what he does; helping people with their illnesses or problems they are having, with remedies he offers in his shop. All of his remedies are organic. Tom is very passionate about his community and educating it for a healthier lifestyle. He was very concerned with the African American Diabetes rate and amputation of limbs caused by diabetes here in South Carolina. Our state is number one in African American diabetes and amputations in the nation and Tom is genuinely concerned about it. Tom made it clear that he wanted to educate people of all races and stop the “self-induced” trauma we are causing ourselves with all of the processed foods we consume each day. So shop safe, and give Books Herbs and Spices a try. 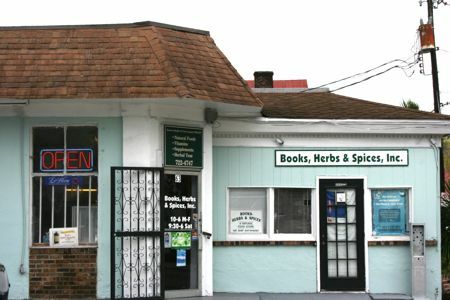 Books Herbs and Spices is your one stop shop for your aches, pains, and cure-alls. It is open Monday-Friday, 10-6, and on Saturdays from 9:30-6, and is located at 63 Spring Street. So, make sure you stop by and get some great help from someone who cares about your wellness and your future. Oh, and don’t forget to purchase some excellent tea on your way out.